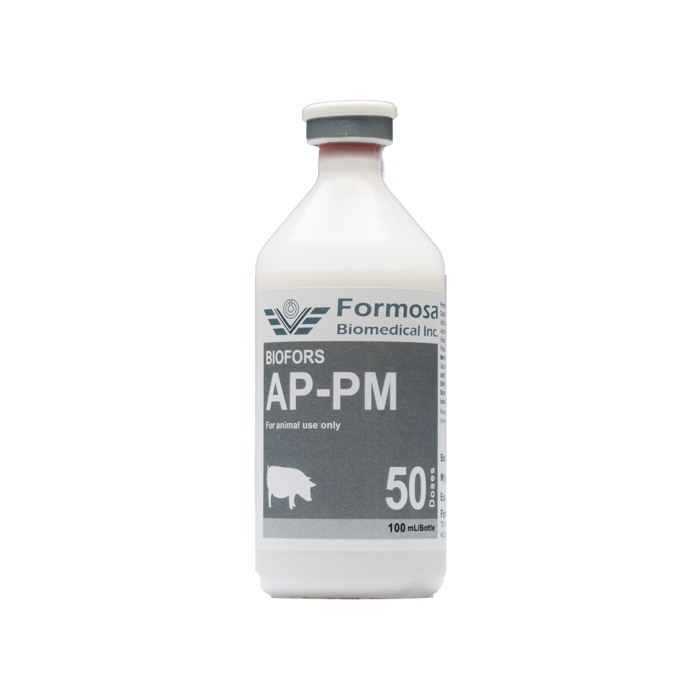 BIOFORS AP-PM contains inactivated Actinobacillus Pleuropneumoniae serotype 1 and 5; inactivated Pasteurella Multocida serotype A and D in oil emulsion. The vaccine has a physical appearance as white oil emulsion. Prevention of swine Actinobacillus pleuropneumoniae and Pasteurella multocida infections in pigs. ·Recover to room temperature before use. ·Shake well to mix thoroughly before use. Make sure the vaccine is administered into the muscle. ·Protect from direct sunlight and avoid high temperatures. ·Occasionally, transient fever or lethargy may occur after vaccination and vaccinated pigs usually recover within 3 days.